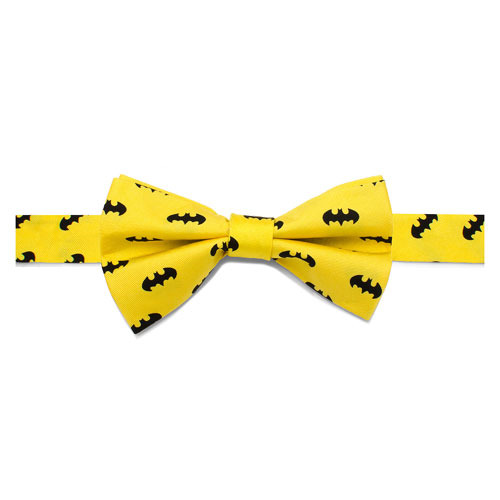 Bruce Wayne knows all about class, as such, this Batman Classic Yellow Boys Large Silk Bowtie would looks amazing as a part of any formal attire! Measures approximately 4-inches wide x 2 3/8-inches tall and features the DC Comics' Batman symbol in black on a yellow background. Pre-tied bow with easy-on, easy-off hook closure. 100% Silk. Best suited for ages 6-12.